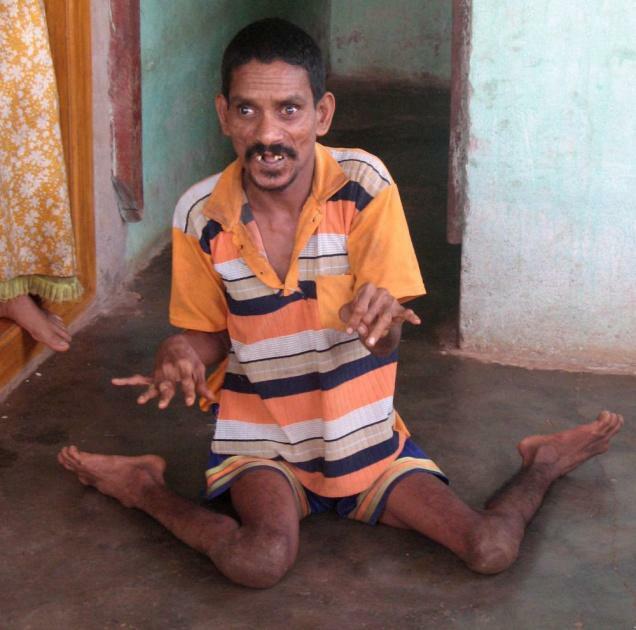 Why UPA Government Doesn't Ban Endosulfan ? Why Endosulfan Should be Banned ? ENDOSULFAN a deadly pesticide sprayed in crops ,the effects of endosulfan is deadly on humans.The UNO classifies endosulfan as highly hazardous pesticide and banned in 62 countries.The usage of Endosulfan in India is high especially the pesticide is used for crops like cashew plantations,rubber and cotton plantations.But now the pesticide is used in small concentrations even for food crops. 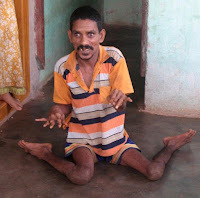 The pesticide was used heavily on cashew plantations in Kerala and later was banned in the state by the state Government as a study on Endosulfan effects showed greater Abnormalities such as mental retardation, cancer and infertility in the victims.Kasargod in north Kerala has thousands of people and children with extreme neurological and congenital deformities.
" In my previous post The Hell in Kerala - God's Own Country have already given details on how the people of Kasargod in Kerala have suffered due to this Deadly Pesticide." Even after repeated request from Kerala State Government the UPA Government seems to be reluctant to ban the deadly Pesticide.Its Interesting that the Central Government is not convinced by the report submitted by the government's National Institute of Occupational Health on the harmful effects of Endosulfan in 2002. But now the government has gone for a fresh study by the Indian Council of Medical Research after National Human Rights Commission intervened in December 2010 after Kerala Government's repeated requests. In October 2010 At the Stockholm convention India was the only country to oppose other 61 countries, for including endosulfan in annexure 'A' of Persistent Organic Chemicals,which would have helped easy ban of the pesticide.India's explained that there was no adverse health effects by the pesticide even though studies in kerala showed how harmful the pesticide acts on human even after years. India accounts for 70 per cent of the world production and consumption of endosulfan, and the Government doesn't want the economic side of the pesticide to be lost. Also many argue that the pesticide is more effective and less cost than many other Pesticides.Join my campaign against Endosulfan and help ban Endosulfan in India …..Post your comments and share this post. Yes endosulfan and many such harmful pesticides should be banned , and more emphasis should be given on the use of biopesticides and organic pesticides . We should actually check the profitability from the endosulfan to both producers and government . I support the ban of the pesticide, anything that is so deadly should definitely be banned sooner rather than later. Shall we still be a Gandhian?